You are here: Home > Events > British politics beyond Brexit: Where are the Conservatives heading? 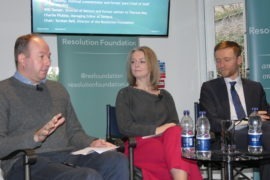 British politics beyond Brexit: Where are the Conservatives heading? 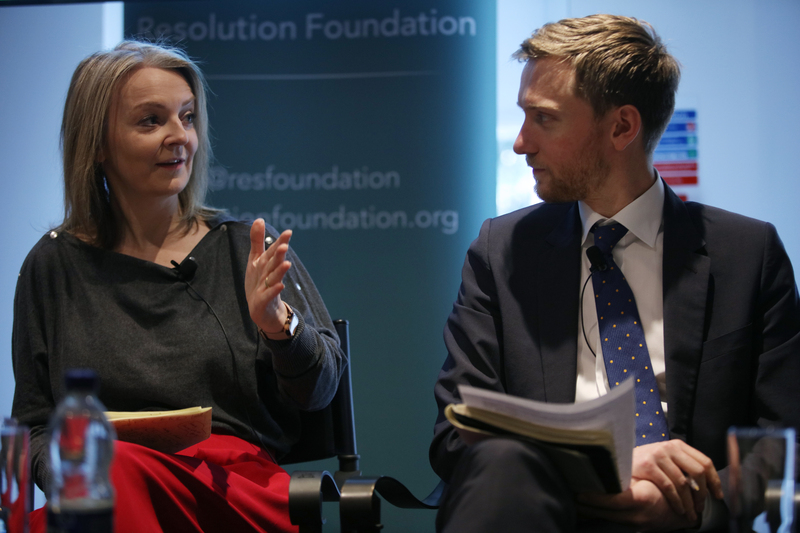 Brexit is dominating our politics, but there will be politics beyond Brexit. 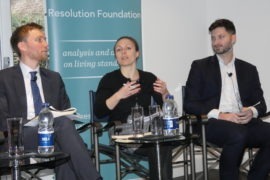 New domestic policy issues will force their way back onto the agenda, and old ones – including those driving aspects of the Brexit vote – will return to national debates. 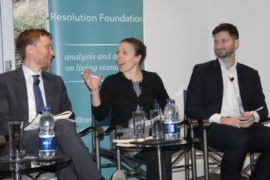 Our biggest political parties will shape – and be shaped by – these debates, just as they wrestle with the lasting effect of Brexit on their identities and coalitions of support. 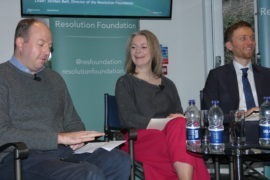 To debate these questions, the Resolution Foundation hosted an event at its Westminster offices. 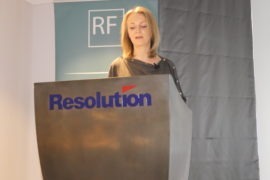 Chief Secretary to the Treasury, Liz Truss MP set out her vision for Britain’s economy. 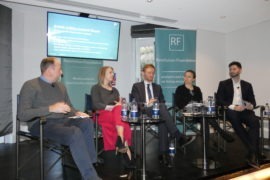 She was joined by leading Conservative thinkers, including Nick Timothy, Will Tanner and Charlotte Pickles, to discuss what the parties’ priorities should be as we approach a crucial Spending Review later this year. An audience Q&A followed.